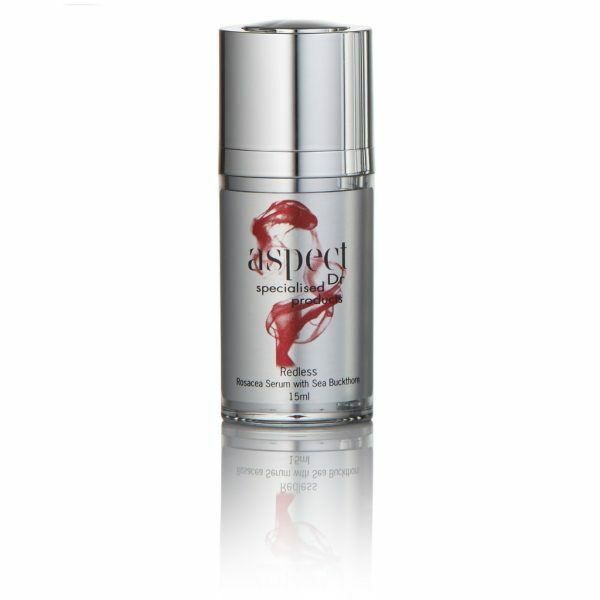 Contains the most stable form of topical L-Ascorbic Acid (Vitamin C), surpassing ordinary water-soluble L-Ascorbic Acid by its superior penetration, collagen induction, and is an exceptional tyrosinase inhibitorwhich helps clarify and brighten the skin. As well as being a powerful anti-oxidant and UV protectant, it is pH neutral to suit even the most sensitive skin types. Also included is Coenzyme Q10, a very powerful anti-oxidant shown to protect the skin cells from oxidative DNA damage caused by ultraviolet light. Preservative free. Botanical Sea Buckthorn oil rich in Omega 3,6 and 7, minerals and vitamins may help to heal, hydrateand alleviate the symptoms of traumatised skin conditions. caprylic/capric triglyceride, oryza sativa (rice) bran oil, hippophae rhamnoides (seabuckthorn) oil, tocopheryl acetate, tetrahexyldecyl ascorbate, ubiquinone, terminalia, ferdinandiana (kakadu plum) fruit extract, rosmarinus officinalis (rosemary) leaf extract, arctium lappa (burdock) root extract, sambucus nigra (elder) flower extract, lavandula, angustifolia (lavender) extract, calendula officinalis flower extract, gallium aparine (cleavers) extract, lavandula, angustifolia (lavender) oil, pogostemon cablin (patchouli) oil, mentha viridis (spearmint) leaf oil, citrus grandis (grapefruit) peel oil, rosa centifolia (rose) oil, achillea millefolium (yarrow) oil, cupressus sempervirens (cypress) oil, anthemis nobilis (chamomile) oil, citrus aurantium amara (neroli) oil.